The best thing about canned tuna is that it is a great budget pantry item! 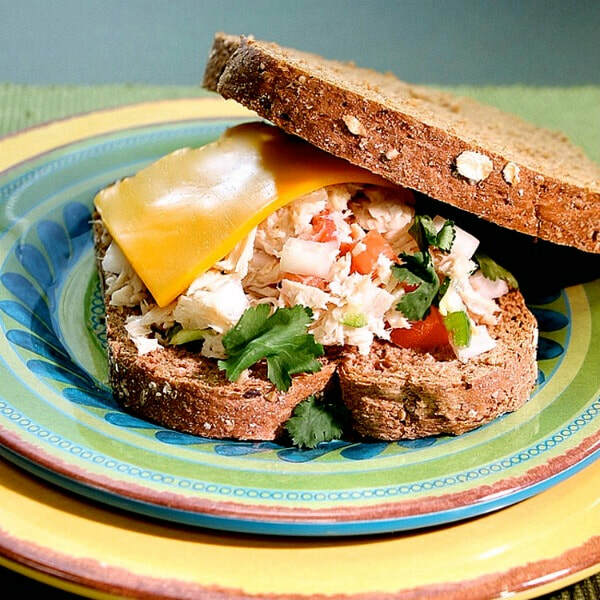 This Citrus Tuna Melt is packed full of flavor and nutrition. Want another idea for spicing up your regular old tuna sandwich? Try this Apple Tuna Sandwich recipe! In a medium-size bowl, combine tuna, lime juice, onion, tomatoes, apple, celery, and optional ingredients if using. Mix well. Place the toasted slices on a cookie sheet. Put an even amount of tuna mixture on top of each slice. Put ½ cheese slice on top of the tuna and bake for about 3 minutes. Add sliced tomatoes and lettuce leaves on top if you like.